Whiplash is a relatively common car accident injury, especially in rear-end collisions. Also known as “neck strain,” whiplash is considered by many to be a minor injury—but in severe cases, it can lead to permanent complications. 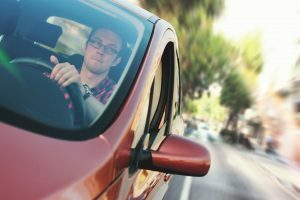 Up to 42 percent of people who sustain whiplash develop chronic pain syndrome, which can affect just about every aspect of life including your ability to earn an income. Fortunately, seeking prompt medical care may improve the prognosis and speed up recovery time. If you were diagnosed with whiplash after a motor-vehicle collision and you want to file a personal injury claim, contact Charnas Law Firm. Attorney Scott Charnas has recovered millions of dollars for his clients and will do everything in his power to protect your physical, emotional, and financial wellbeing. Call 212-980-6800 to schedule a free case evaluation with a car accident lawyer in Massachusetts. Whiplash is a soft-tissue injury that affects the muscles and tendons in the neck. These tissues can stretch or tear when the head is jerked forward or backward abruptly. Some of the most common causes of whiplash include motor-vehicle collisions, physical altercations, and contact sports like football. Since whiplash may not manifest any symptoms right away—they usually develop within 24 hours but can take several days to appear—it is wise to visit a doctor immediately regardless of how you feel in the aftermath of a wreck. This will ensure you receive prompt treatment, which may reduce the risk of long-term complications. Some patients also find that alternative approaches like acupuncture, spinal adjustments, and massage therapy can relieve their symptoms. A personal injury attorney can help you track all the costs associated with these treatments, including travel expenses and missed work, so you can pursue every dollar you deserve. Scott Charnas has helped hundreds of clients in personal injury and wrongful death cases throughout New York and Massachusetts. Call 212-980-6800 or use our Online Contact Form to set up a free consultation with a personal injury lawyer in Massachusetts.